Sometimes Foodie: Put away your pitchforks, PANERA'S FRENCH ONION IS BACK! 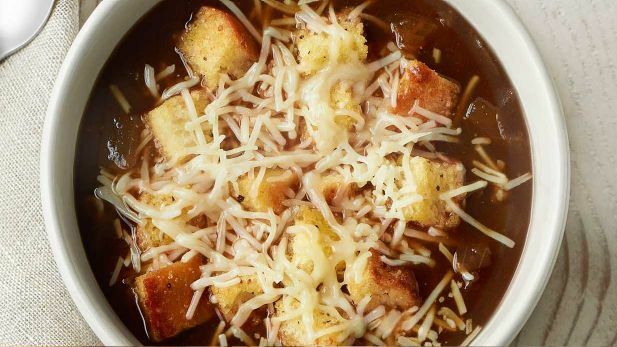 Put away your pitchforks, PANERA'S FRENCH ONION IS BACK! Photo © Panera Bread Co.
That's right, it's back, and it's all natural and healthy. Before you start rejoicing, the recipe has changed...A LOT. It's better for you, but does it still taste as good? I'll let you know this weekend!